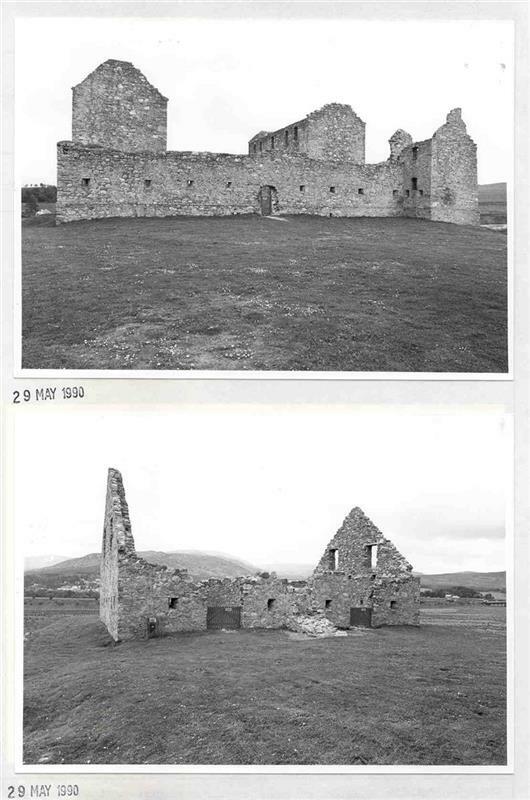 Ruthven Barracks, generally as described and planned by MacGibbon and Ross, now being restored by the MoW. Visited by OS (N K B) 31 November 1967. The site is an alluvial mound. There was a fortress on it during the 14th century and probably earlier. In the 16th century, another castle was built here; this was destroyed in 1689 but seems to have been rebuilt before 1715. The Barracks were erected by the government in 1718 for a garrison, but were burnt by fugitives from Culloden in 1746 and never repaired. No trace of the earlier works survived. D MacGibbon and T Ross 1887. 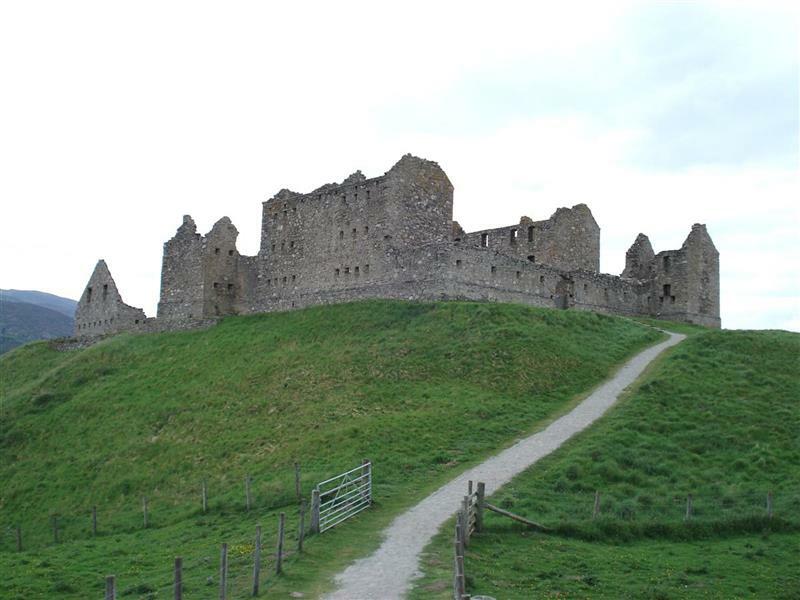 Ruthven Barracks stood hard by Kingussie, a village and a parish in the Badenoch district of S.E.Inverness-shire, occupying a conical mound one and a quarter mile S by E of the village and on the other, or right, bank of the River Spey. The distance is stated as 44 and a half miles from Inverness and 50 E.N.E. of Fort William. 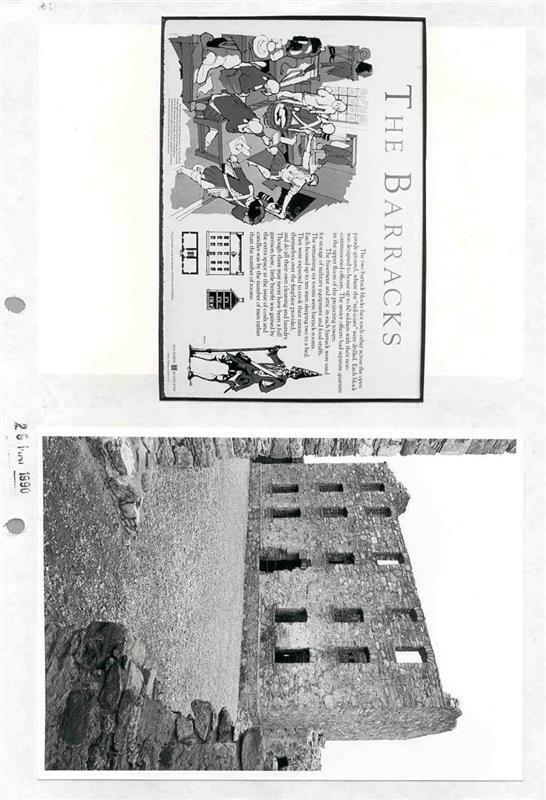 The Barracks, according to Groome's Ordnance Gazetteer, were built by the Government in 1718, and were burned by fugitives from Culloden in 1746. Z.3/18. No date. Small scale Plans, Sections, and Elevations of the four Barracks of Killiwhiman, Inversnait, Ruthven of Badenoch, and Bernera, with Explanations. Scale 30 Feet to an Inch. There are copies. Also indexed under the names mentioned besides Ruthven. Z.3/19. 1719. "Plan showing situation of the barrack at Ruthven in Badenoch Anne 1719", and surrounding Country. Scale 10 Feet to an Inch. There is a copy. Z.3/20. No date. "Ruthvan of Badenock" Plan, Sections & Elevations of Barracks. With Explanation. Scale 10 Feet to an Inch. There is also a small scale Engraving. David Macgibbon and Thomas Ross, in "The Castellated and Domestic Architecture of Scotland" give a Plan of these Barrack and Stable buildings, as an example of a fortification of that late period, with a sketch, in pen and ink, from the South-West. They state there is no vestige of any earlier building or castle on the mound. National Library - Country Life 6th April 1945 - photograph. National Library of Scotland: Nattes Drawings. 1 Drawing, Vol IV No 20. BAS Local Plan, Sept. 1997: P19/2.5.13. Historic Buildings. 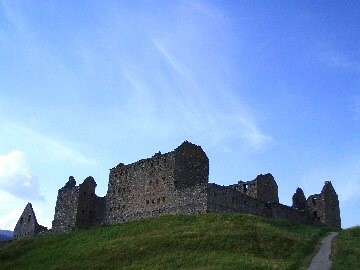 AP : Ruthven Barracks. (Image/Photograph(s)). SHG13362. AP : Ruthven Barracks. (Image/Photograph(s)). SHG13363. Highland Council Archaeology Unit, HCAU Slide Collection Sheet 7, 141 (Image/Photograph(s)). SHG24258. Untitled Source (Image/Photograph(s)/Aerial Photograph). SHG5167. Untitled Source (Image/Photograph(s)/Aerial Photograph). SHG5168. Cordiner, C, 1795, Remarkable ruins and romantic prospects of north Britain with ancient monuments and singular subjects of natural history (Text/Publication/Volume). SHG2062. MacGibbon, D and Ross, T, 1887-92, The castellated and domestic architecture of Scotland from the twelfth to the eighteenth centuries, Vol. 2, 463-7; plan, fig. 898 (Text/Publication/Volume). SHG2442. 1919, Scottish Country Life, Vol 6, No 7, p 297 (Text/Publication/Serial). SHG3432. Salmond, J B, 1938, Wade in Scotland, 74-81 (Text/Publication/Volume). SHG2761. Cruden, S, 1963, The Scottish castle, 235-7; pl. 45 (Text/Publication/Volume). SHG2086. 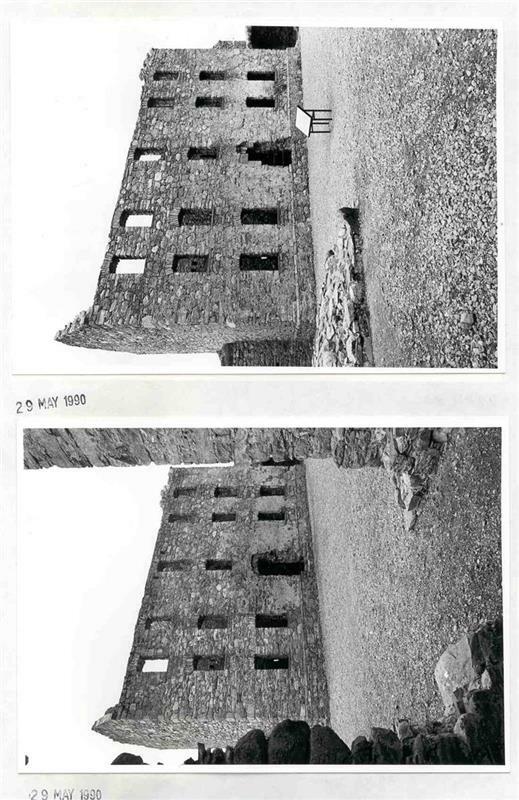 Stell, G, 1973, 'Highland garrisons 1717-23: Bernera Barracks', Post-Medieval Archaeol Vol. 7 1973, p.20-30, 20-30 (Text/Publication/Article). SHG891. Gifford, J, 1992, Highland and Islands, 98-9; pl. 74 (Text/Publication/Monograph). SHG2247. 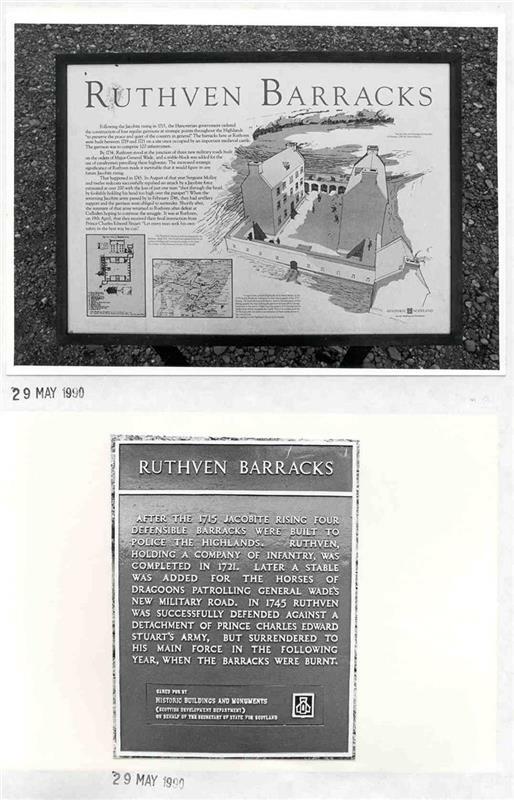 McB Cox, E., 1998, Ruthven in Badenoch: the excavation of a Highland garrison (Text/Publication/Article). SHG27244. Taylor, A, 2007-9, Photographs of various HER sites by Andrew Taylor (CD 1) (Image/Photograph(s)). SHG24382. Kirkdale Archaeology, 2012, Watching Brief - Ruthven Barracks, Kingussie (Text/Report/Fieldwork Report). SHG27847. --- Image/Photograph(s): Ruthven Barracks.. Colour Slide. .
--- Image/Photograph(s): AP : Ruthven Barracks.. Colour Slide; Digital Image. .
--- Text/Publication/Volume: Cordiner, C. 1795. Remarkable ruins and romantic prospects of north Britain with ancient monuments and singular subjects of natural history. --- Text/Publication/Volume: Cruden, S. 1963. The Scottish castle. rev.. 235-7; pl. 45. --- Text/Publication/Monograph: Gifford, J. 1992. Highland and Islands. The Buildings of Scotland. Paper (Original). 98-9; pl. 74. --- Image/Photograph(s): Highland Council Archaeology Unit. HCAU Slide Collection Sheet 7. Colour slide. . Digital (scanned). 141. --- Image/Photograph(s): Taylor, A. 2007-9. 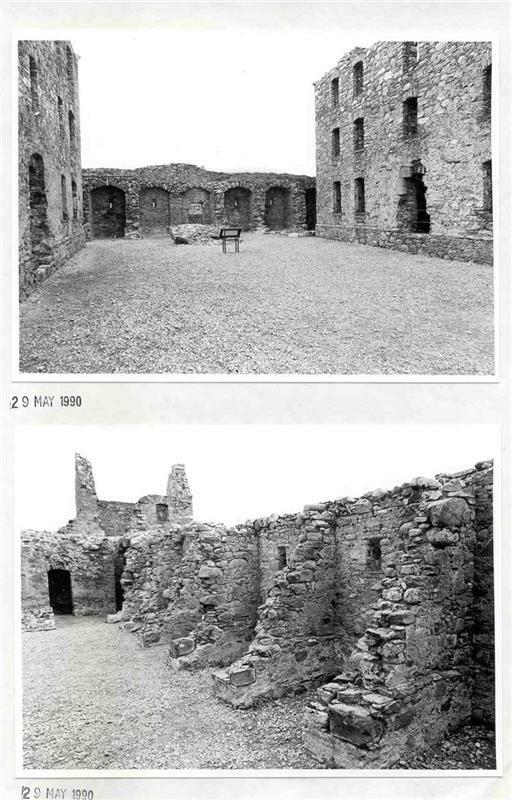 Photographs of various HER sites by Andrew Taylor (CD 1). Colour. Yes. Digital. --- Text/Publication/Volume: MacGibbon, D and Ross, T. 1887-92. The castellated and domestic architecture of Scotland from the twelfth to the eighteenth centuries. Hardback. Vol. 2, 463-7; plan, fig. 898. --- Text/Publication/Article: McB Cox, E.. 1998. 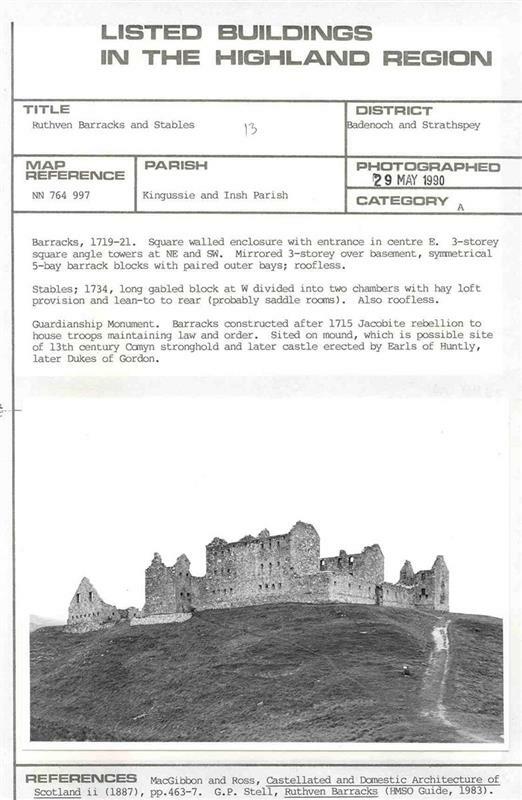 Ruthven in Badenoch: the excavation of a Highland garrison. Proc Soc Antiq Scot Vol. 128. 1105-1119. Digital. --- Text/Publication/Volume: Salmond, J B. 1938. Wade in Scotland. new, enl.. 74-81. --- Text/Report/Fieldwork Report: Kirkdale Archaeology. 2012. Watching Brief - Ruthven Barracks, Kingussie. Kirkdale Archaeology. Digital. --- Text/Publication/Serial: 1919. Scottish Country Life, Vol 6, No 7. p 297. --- Text/Publication/Article: Stell, G. 1973. 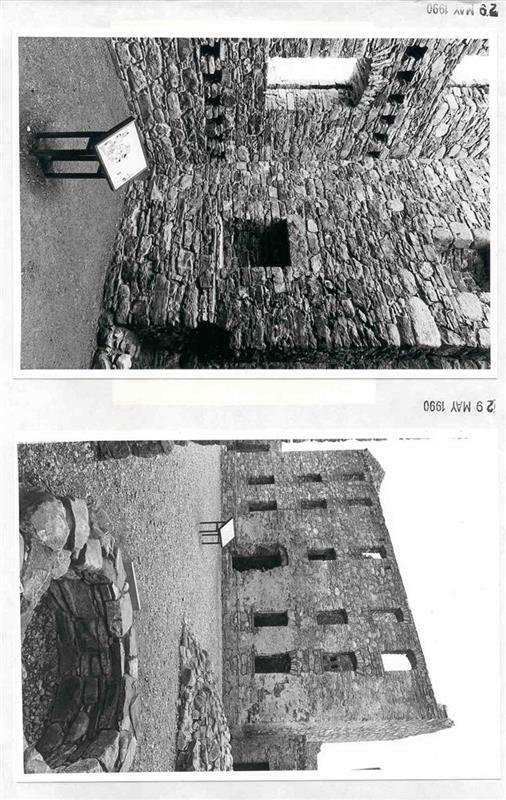 'Highland garrisons 1717-23: Bernera Barracks', Post-Medieval Archaeol Vol. 7 1973, p.20-30. Post-Medieval Archaeol. 20-30. 20-30.